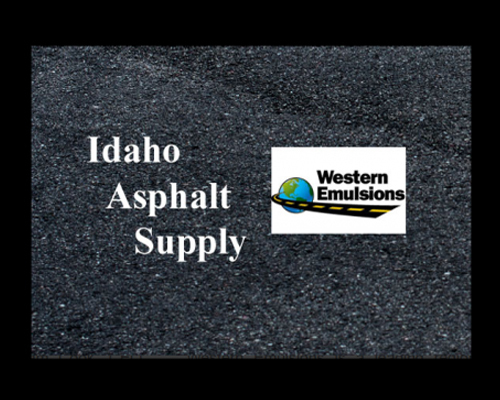 Idaho Falls, ID – January 12, 2016 — Idaho Asphalt Supply Inc. has purchased Western Emulsions Corporation, it was announced by Pam Cook, CEO. Western Emulsions is a leading regional manufacturer of asphalt emulsion products for road and highway maintenance and preservation, with facilities located in California, Oregon, Arizona, New Mexico, Texas and Montana. GuardTop LLC, the company’s parking lot sealcoat division with California and Georgia-based operations, also was included in the transaction. With this latest acquisition, Idaho Asphalt Supply Inc. will now manage and operate Western Emulsions and GuardTop LLC as wholly owned subsidiary companies along with its existing holdings, Peak Asphalt LLC, and Johnny B Transport LLC. Now led by President and CEO Kevin M. Trant and CFO Mark Happ, Western Emulsions was founded by the Koleas family in 1977 in Tucson AZ, and became known as an innovator of branded emulsion products, especially PASS® emulsions. In 2008, Western Emulsions was acquired by Marwit Capital and expanded into new markets with added equity financing from Saybrook Capital. Vice-Chairman Robert Koleas has remained with the company in a strategic leadership role. Idaho Asphalt Supply Inc. was founded in 1976 by John and Roxine Stone, and is now a second-generation family business supplying materials to the highway construction industry. Its mission is to provide materials and services that improve pavements without compromising safety or the environment; to strive to provide a higher quality of life by increasing performance in pavements; and to make roads, parking lots, highways, and runways better through partnerships with government agencies, contractors, and suppliers. In 2004, Idaho Asphalt Supply began its first wave of expansion into new markets by acquiring two of its current facilities in Utah and Wyoming, and created Peak Asphalt LLC. With that purchase, Idaho Asphalt established itself as the leading supplier in an eight state region. The company’s administrative offices are located in Idaho Falls, Idaho where the transportation fleet, Johnny B. Transport LLC is based. Johnny B Transport is one of the largest in-house asphalt transportation services companies in its market, consisting of asphalt tankers, asphalt spreaders, railcars, and portable pumping units. Idaho Asphalt Supply’s vision is to be “First Choice.” This means to be the first choice of customers, vendors, and anyone in the industry looking for employment or services. The company and subsidiaries can be found on the web at: http://idahoasphalt.com; http://westernemulsions.com; and https://guardtop.com.